Your School Games - Double National Champions! 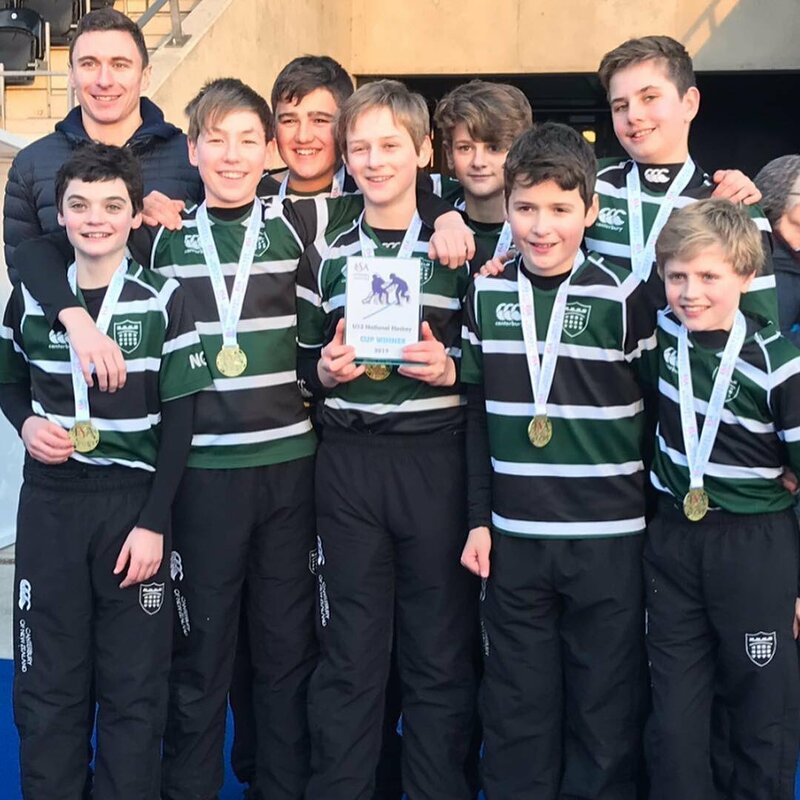 Congratulations to our U11 and U13 sides who were both crowned National ISA Champions after putting up some outstanding performances with the U11s scoring 3-0 in the final and the U13s keeping their nerve and winning on penalty flicks after a 1-1 draw in their final. The boys played Chafyn Grove in the first game and started strongly with Elliott an Isaac forcing the opposition’s goal keeper into making good saves. Nathan then got in the end of Elliott’s power strike to score the first goal. The game was even with Danny making a fine save. Arthur then scored a reverse stick goal on the final whistle to hone us a 2-0 win. The second game we played Red House School and despite creating a number of opportunities we left it late to score our winner with Arthur dragging the ball into the roof of the net. Our last group game was against LVS Ascot where the boys finally put into place the passing tactics we had talked about and as a result scored 4 unanswered goals to win the group. The start of the semi final groups we played Queen Ethelburga’s and it was [email protected] who pressed from the off but couldn’t score early on and despite a flowing move involving Elliott, Arthur and Issac saw the ball fly just past post the post. A great strike by Isaac was well saved by their keeper but Nathan sniffed out the winner like a well trained blood hound giving us a 1-0 win. We played Ballard next and produced a passing masterclass to create numerous chances and we managed to win the game 3-0 with Joel , Arthur and Nathan scoring the goals. The last group game saw another strong passing performance which saw the boys dominate the game and win 3-0 thus putting the team into the finals. 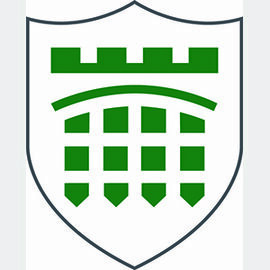 The final was a very close affair with Holme Grange proving to be a very strong competitor, they took the lead early in with a very well taken goal, before we took hold of the midfield and excellent play from Elliott and Arthur led to Nathan tapping in the equaliser. A very nervy last few minutes followed with Nathan hitting the post leaving a 1-1 draw and meant the game went into shuffles. We eventually won 4-3 on shuffles winning the tournament and capping a brilliant day! 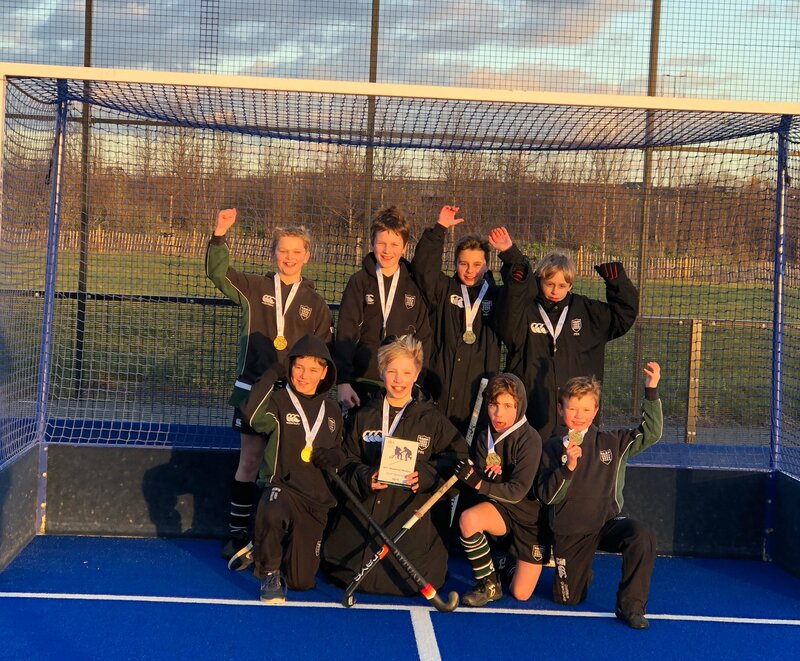 The U11 boys had a very successful day at Lee Valley, winning the ISA U11 National Hockey Championships. They started the day in blistering form, scoring 2 goals in under two minutes in their first pool game. They built upon this good start, with 2 further wins to top their pool and move into the afternoon’s cup competition. The first game of the afternoon was against Weston Green who had topped their pool in the morning too, so the pressure was on. The boys took control of the game and although they enjoyed complete dominance, it was a goal from a short corner right at the end that sealed the victory. With two further wins in the pool the boys were to meet Cundall Manor in the final. The U11s again started strongly and never really let their opposition into the game. Although it was a hat trick of goals from Archie C that ultimately sealed the victory, this was a true team performance, with all of the boys playing their part in a very successful day.